Then she runneth, and cometh to Simon Peter, and to the other disciple, whom Jesus loved, and saith unto them, They have taken away the Lord! . . .
Then the same day at evening, being the first day of the week, when the doors were shut where the disciples were assembled for fear of the Jews, came Jesus and stood in their midst, and saith unto them, Peace be unto you. The resurrection of Jesus, doubted by many but affirmed by those who were close to him, was a miraculous event, though one not unique in history. For many great saints of other religions have appeared to their disciples after death. Sometimes their appearances have been, as that of Jesus was, in flesh-and-blood form, and not only in vision. 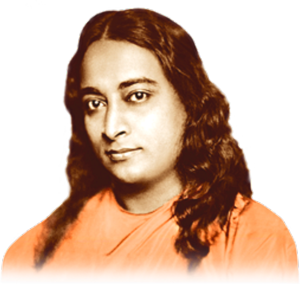 Paramhansa Yogananda relates in Autobiography of a Yogi the account of his guru Sri Yukteswar’s resurrection after his earthly passing. Miracles of this type are revealed only rarely to the masses, but accounts of them, related by men and women of reputed truthfulness, have inspired many devotees with faith in the reality of subtler-than-material states of existence. Resurrection, Yogananda explained, means transformation, ultimately, from any lower state of being to a higher one. Worldly consciousness cannot imagine such transformation except in terms of, perhaps, an improvement of the present mess of potage with the addition of a new flavoring. Divine consciousness, however, is capable of taking the base metal of worldliness and transforming it into the spiritual gold of divine wisdom and love. Ah! ye who into this ill world are come—fleeting and false—set your faith fast on Me! Fix heart and thought on Me! Adore Me! Bring Offerings to Me! Make Me prostrations! Make Me your supremest joy! and, undivided, unto My rest your spirits shall be guided. Enthusiasm is the spirit of joy channeled through the power of the will. If we want to know joy, we must live always in the full expectation of it. Not even earthly happiness can come to those who demand it glumly, or who work for it with their eyes to the ground. To achieve happiness, one must work with happiness. To achieve divine joy, one must be keenly enthusiastic in everything one does! Never presume. Never brush aside that subtle feeling of doubt which attends false, emotional enthusiasm. Try always to let God’s joy express itself through you. Thus, your enthusiasm will grow, eventually to become His joy! In everything I do, my enthusiasm soars to embrace infinity! O Perfect Bliss! Guide me, that I express Thee through my every feeling. May my enthusiasm be a channel for Thy joy.